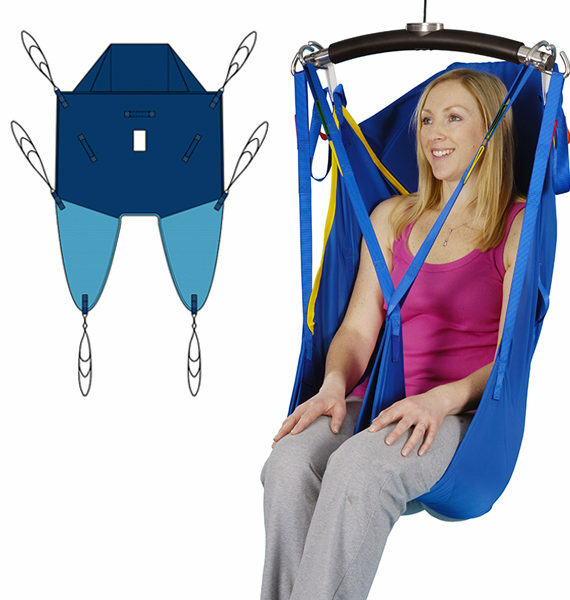 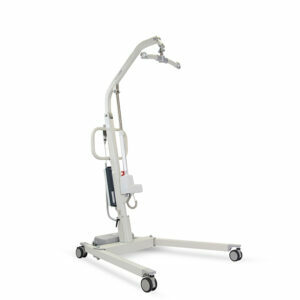 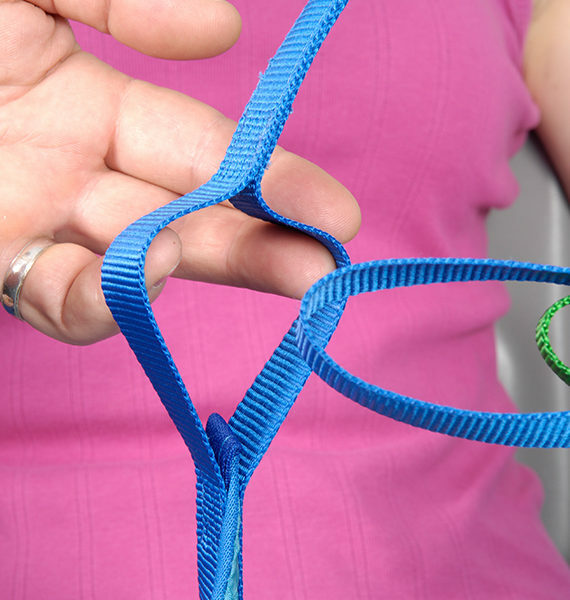 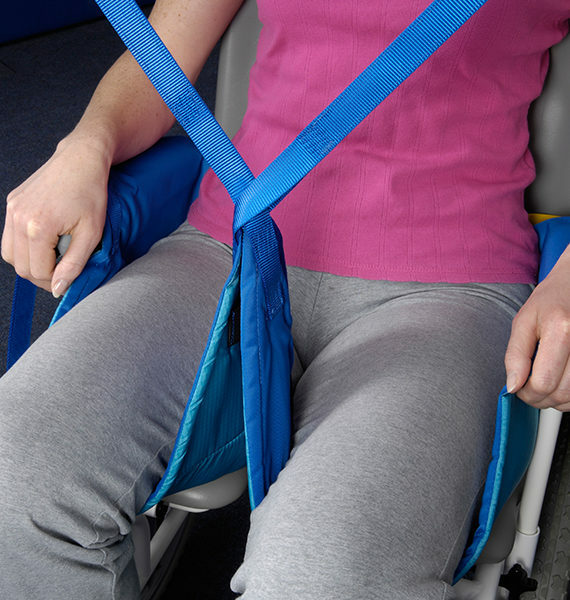 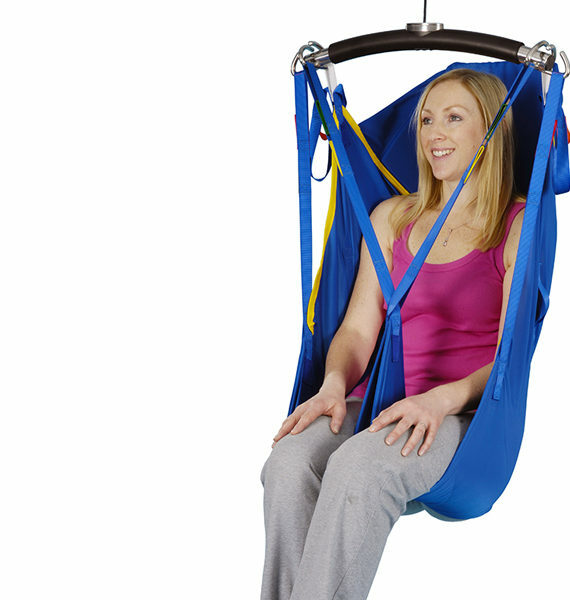 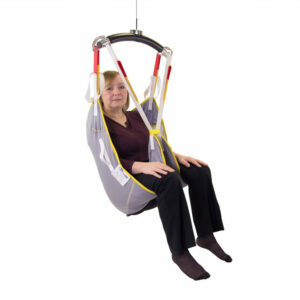 The Prism Universal Sling with Head Support is a commonly supplied sling for general transfer purposes. 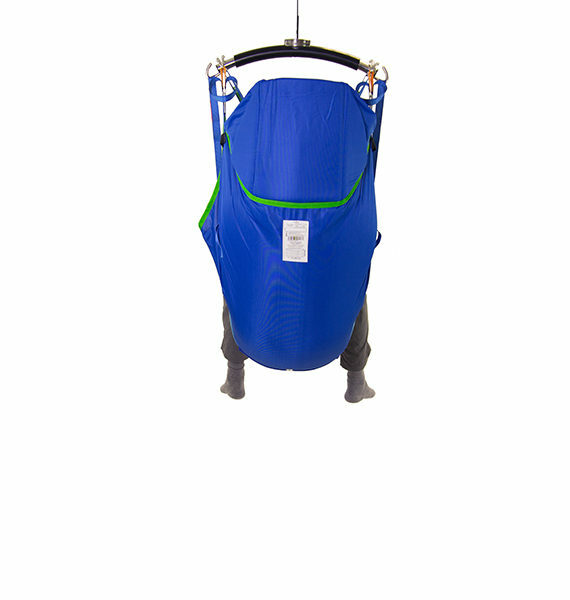 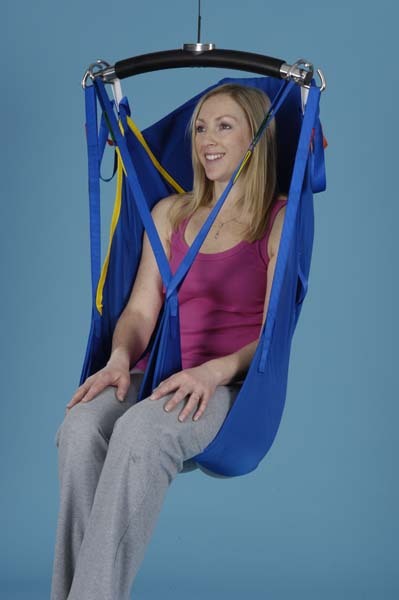 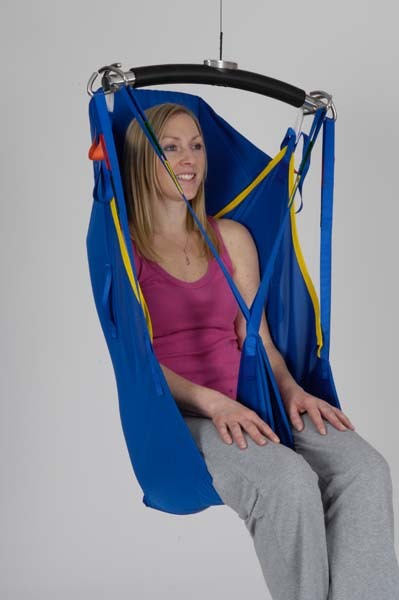 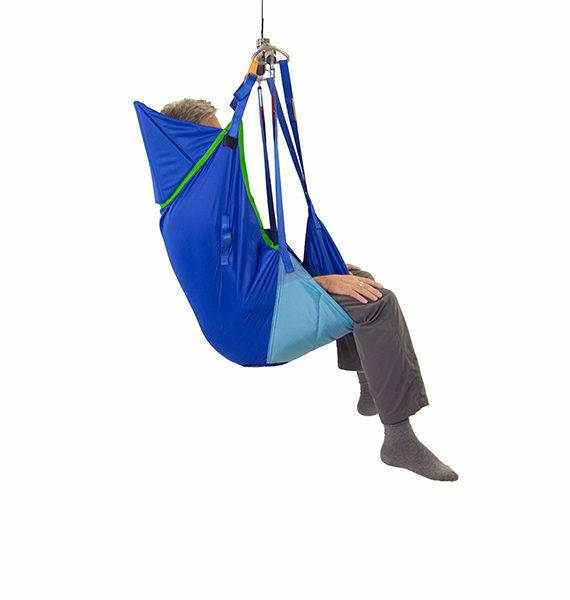 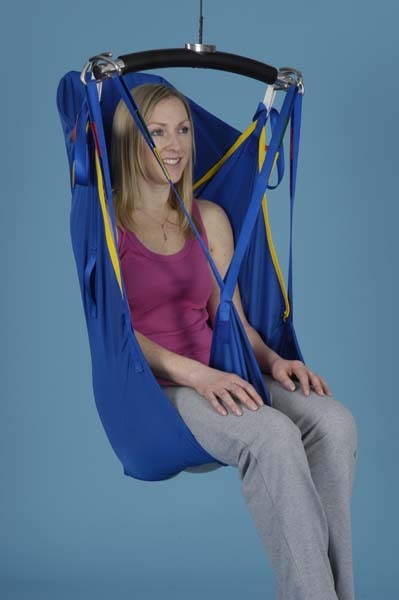 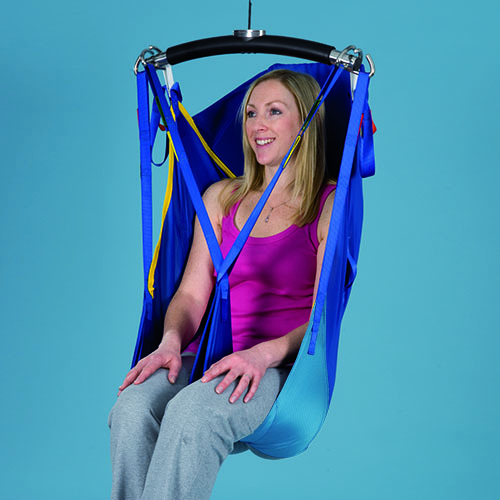 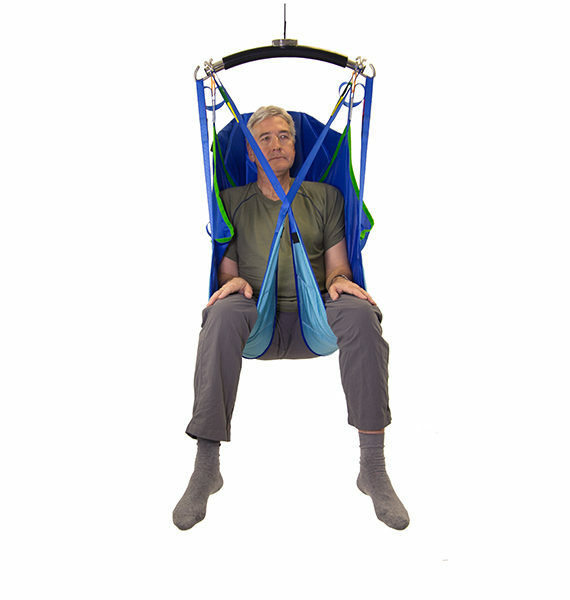 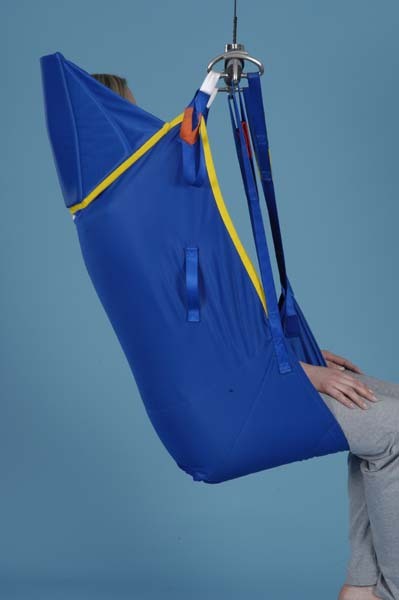 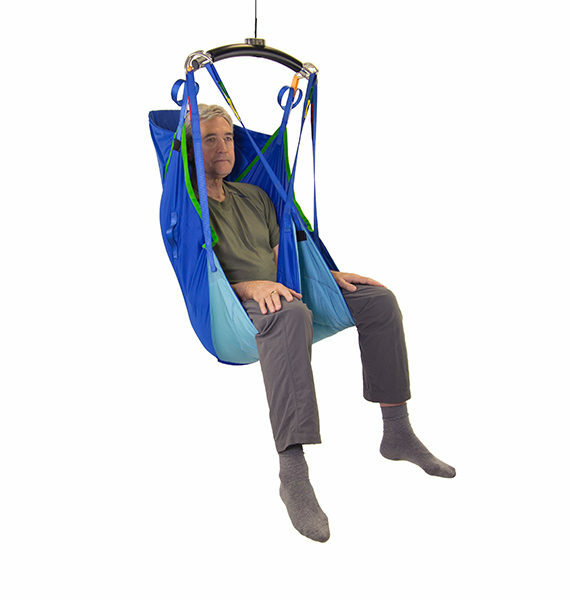 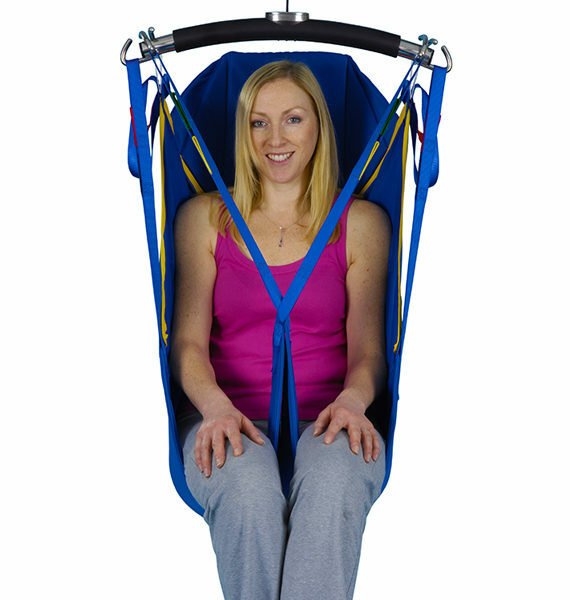 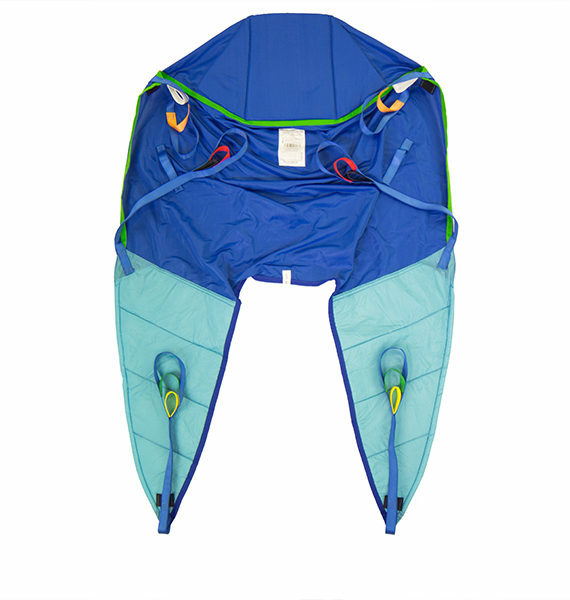 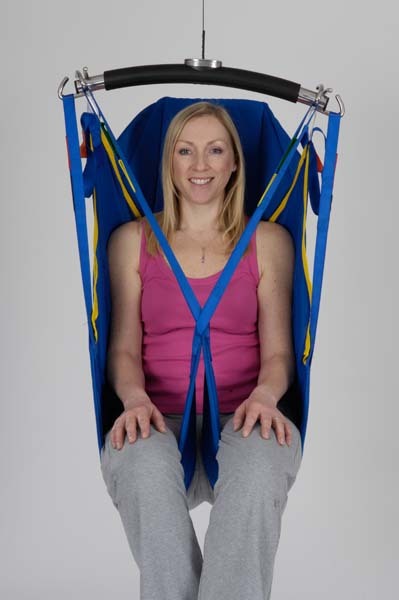 As the name suggests, this particular sling features a head support, making this ideal for users who require a general purpose sling which offers some extra support whilst being hoisted to and from a supine position. 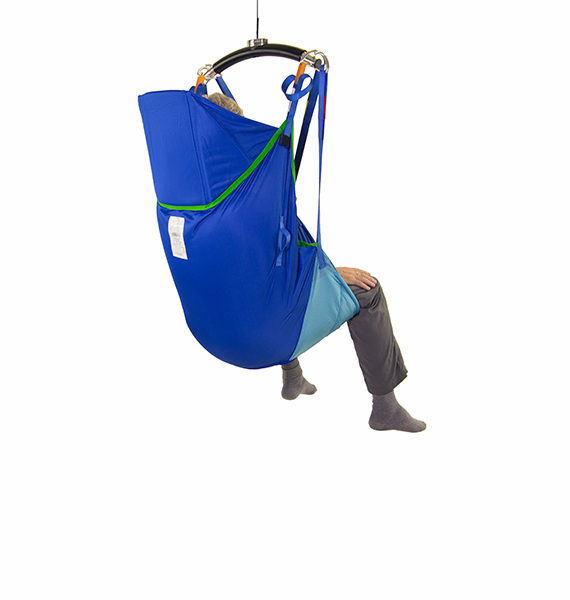 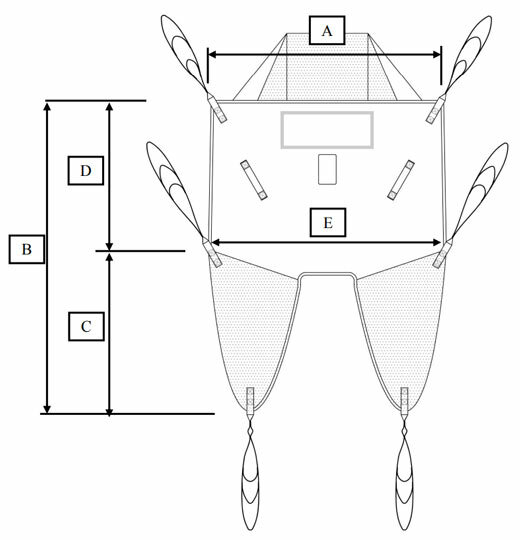 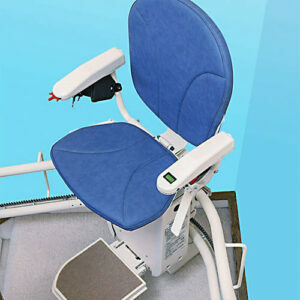 The head support supplied with the sling differs depending on the choice of sling material. 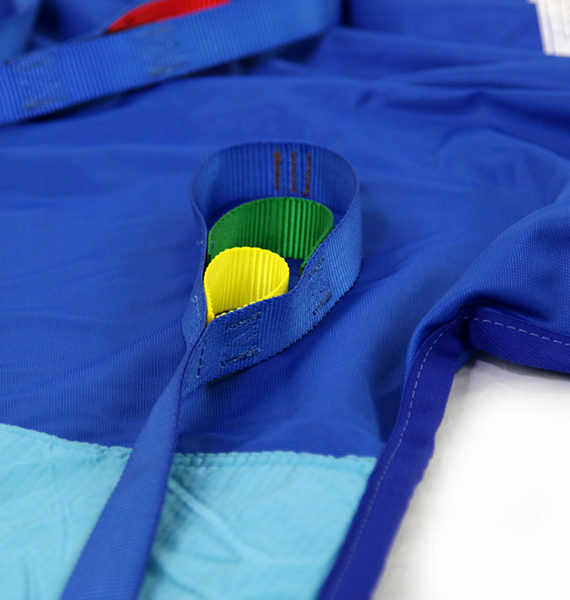 Padded head support is supplied on the polyester/slipfit variant, whilst a taped support is supplied on the polyester mesh, spacer and slipfit variants.